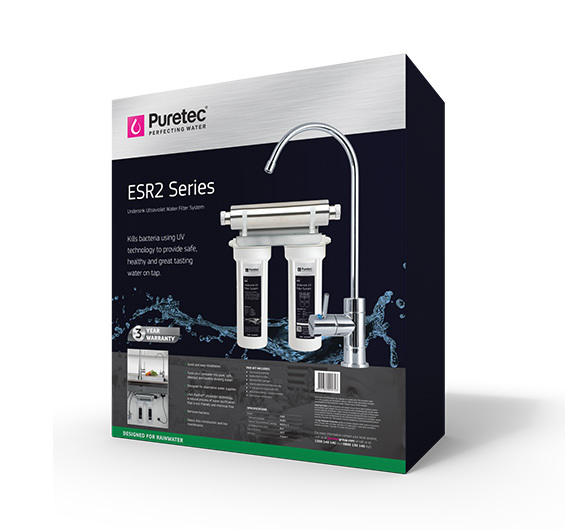 The Puretec ESR2 Series is designed to provide safe and healthy water for the whole family. 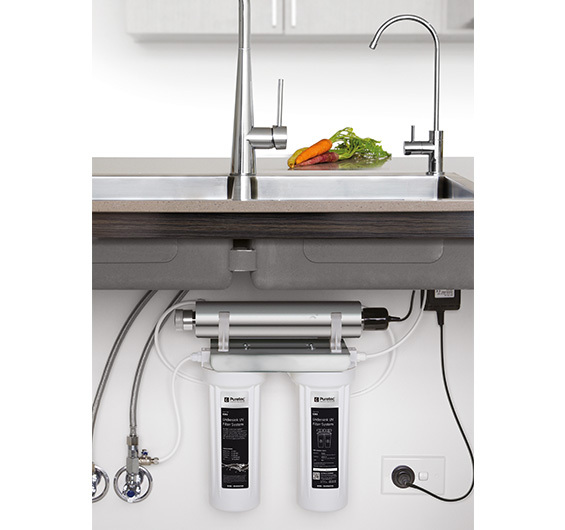 This system kills bacteria using Radfire™ Ultraviolet technology, a natural process of water purification that is eco-friendly and chemical free to provide safe, healthy and great tasting water every time. Kills bacteria using UV technology to provide safe, healthy and great tasting. • Quick and easy installation. • Turns your rainwater into pure, safe, delicious and healthy drinking water anytime! 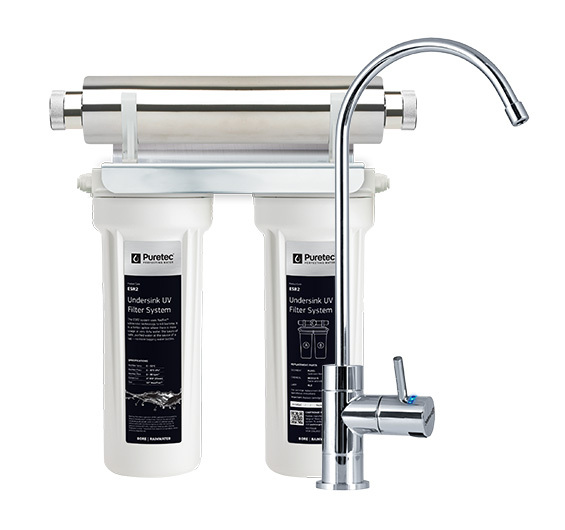 • Designed for alternative water supplies. • Uses Radfire™ ultraviolet technology, a natural process of water purification that is ecofriendly and chemical free. • Heavy duty construction and low maintenance. Important Note: Use only genuine Puretec replacement cartridge. ^3 year warranty is 2 years parts, 1 year parts and labour, excludes cartridge.